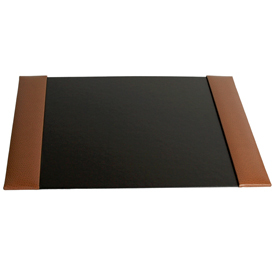 This is our very exquisite selection of hospitality Accessories Holders with variety Hotel Binders. 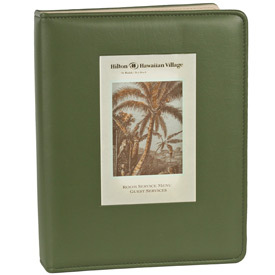 Some may call them hotel guest information binders and guest registers. 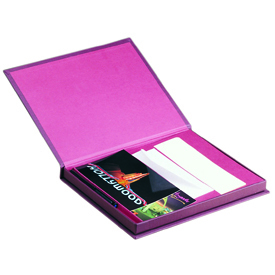 All of which are top selling formats of stationary holders for your finest guests whether its at a resort, beach club, golf club, lodge or hotel. 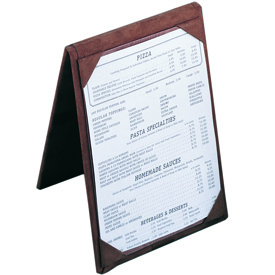 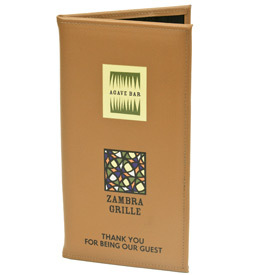 Stationary Holders and Guest Register holders made from a variety of Quality materials such as leatherette, book cloth or top grain leather at different price levels.